Organizations invest a lot of money when they decide to use Office 365. Getting value for that investment is important, and the only way of understanding whether end users are taking advantage of the complete spectrum of Office 365 functionality is to measure what’s happening. With real data about real users you can see which parts of Office 365 are being used and which are not. You know whether your adoption programs are effective or need to make changes. 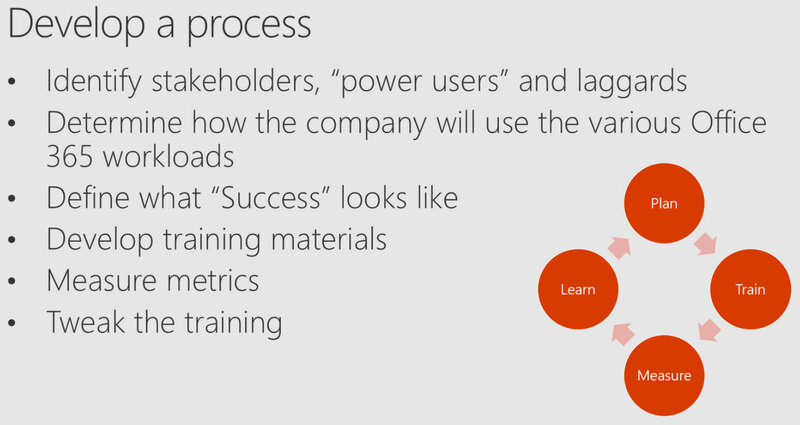 This session covers the tools available in Office 365 to help you understand user adoption. You’ll not only learn HOW to measure adoption, but also WHAT to measure and WHY. 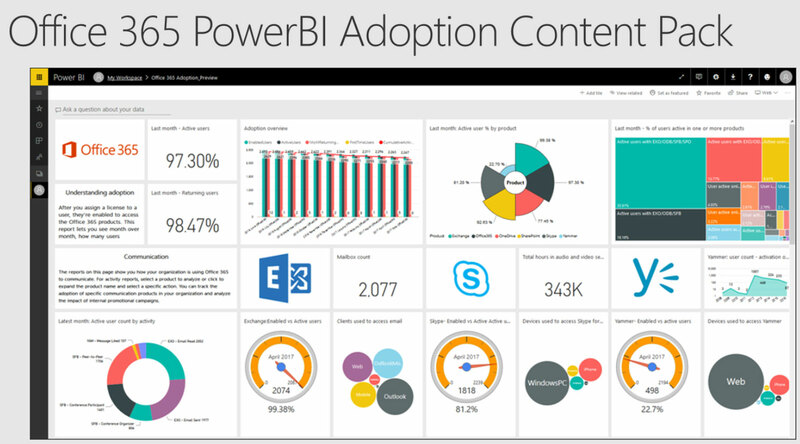 This particular presentation is titled: “Microsoft Office 365 adoption: if you can’t measure it, it’s not happening. “The reason I’m here is that I believe this to be the God’s honest truth, regardless to which higher power you submit. So far the two presenters have talked about the idea of measuring adoption without actually explaining how it would be done. I love when presenters do this. It’s like the infomercial for the “extreme fat burning system” where they discuss the the fact they plan to reveal the secret for the entirety of the infomercial without ever revealing anything. Activity reports are being generated on TEAMS starting this month. We are being assured that there are new measures added to the Admin Center Reports on a monthly basis. They are, shockingly, a number of third party tools for analytics that leverage the date from Microsoft Graph. And of course, none were mentioned. They did direct us to this discussion on adoption “tools”.